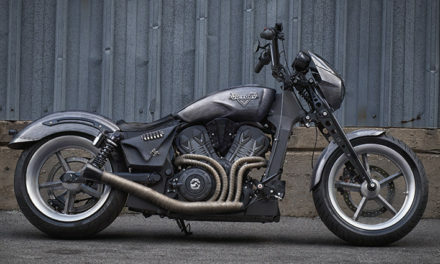 I’ve watched quite a few videos about the V9 Bobber but the one below was probably the best of the independent reviews. It’s quite long at 30 minutes but if you are giving serious thought to buying one of these then what’s half an hour? BTW, the reviewers title “One for the Ladies” has nothing to do with the size or looks of the V9 Bobber and everything to do with the vibration he was getting through the tank. 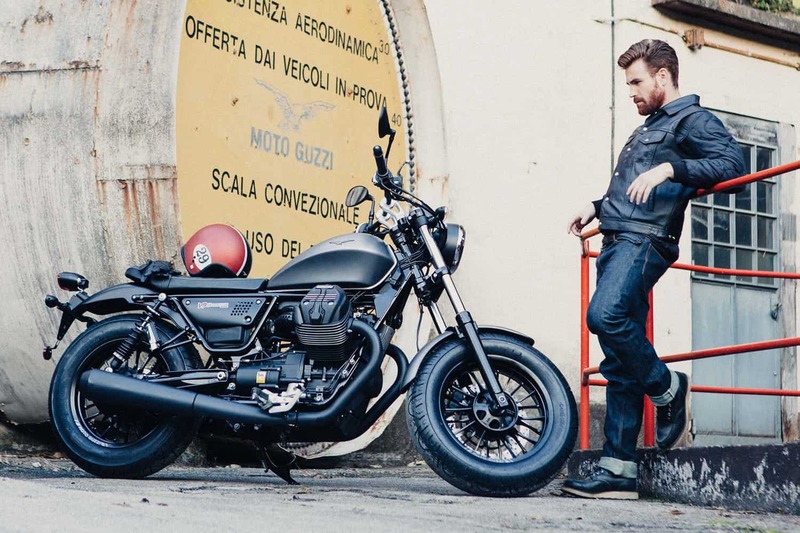 I was in a motorcycle dealers having a browse (as you do when you need to kill a bit of time) when they wheeled the Moto Guzzi V9 Bobber into the showroom and my first reaction was that it was a cool looking bike. Within a few minutes though I was wondering why Moto Guzzi had bottled it. 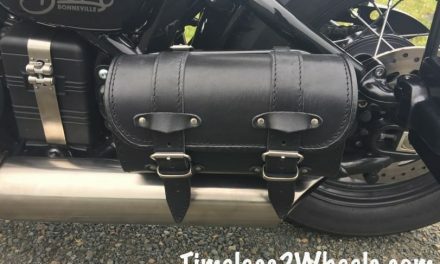 Once the sales guy told me there was also the V9 Roamer model available I concluded that they must have had a decent cruiser and the marketing guys decided to try and cash in on the fast growing retro market by swapping out the chrome for matt black and calling it a Bobber. 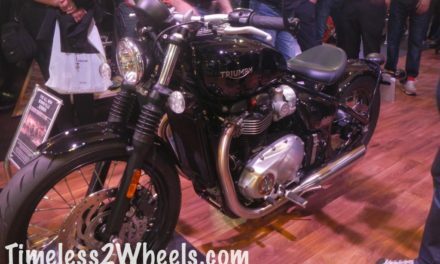 Don’t get me wrong, it’s a good looking bike but it just feels like they’ve been a bit half hearted in their attempt to produce a factory Bobber. Take the seat for instance shown here. It’s a small 2 seater granted but it definitely isn’t a single seat. The feet and seat positioning too is more naked cruiser rather than the feet forward, arms outstretched look of a more traditional Bar Hopper. Moto Guzzi have the badge and heritage to attract buyers looking for a done for you Bobber – either older riders with cash to spend but neither the time nor the inclination to build their own custom ride or the Hipster who wants a fashion statement to park outside the coffee shop – so it’s a shame this bike feels like an after thought. 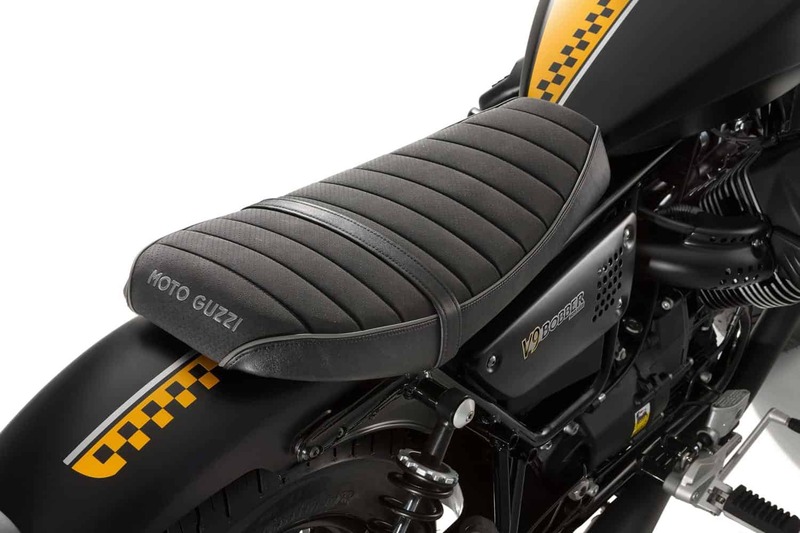 Moto Guzzi have a large range of custom upgrades available for the Bobber so buyers are going to be able to ‘make it their own’ but for me, it’s one for the younger crowd.